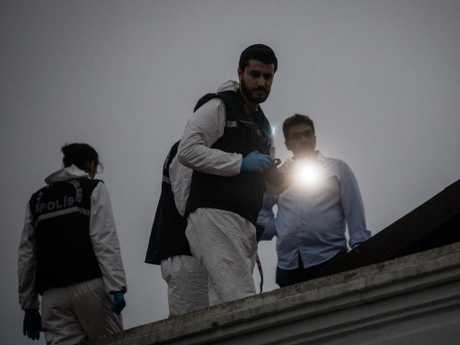 ONE of the alleged "hit squad" behind the brutal murder of journalist Jamal Khashoggi has reportedly been killed in a "suspicious" car accident. Turkish pro-government news organisation, Yeni Safak, which carried the report of the crash, claims there are now fears he "could have been silenced." It also reported that at the moment there was no further details about the fatal crash - which has not been confirmed by the authorities. It comes as the US said it will give Saudi Arabia "a few more days" to work on its probe into the suspected murder of Khashoggi, Secretary of State Mike Pompeo said. Sec. Pompeo, who had just reported to US President Donald Trump after travelling to Saudi Arabia and Turkey, told journalists that the Saudis assured him "they will conduct a complete, thorough investigation of all the facts." "I think it's important for us all to remember, too - we have a long, since 1932, a long strategic relationship with the Kingdom of Saudi Arabia," Sec. Pompeo said, also calling Saudi Arabia "an important counterterrorism partner". Sec. Pompeo told reporters he had made clear to the Saudis in his visit to Riyadh that "we take this matter with respect to Mr Khashoggi very seriously. "They made clear to me that they too understand the serious nature of the disappearance of Mr Khashoggi. 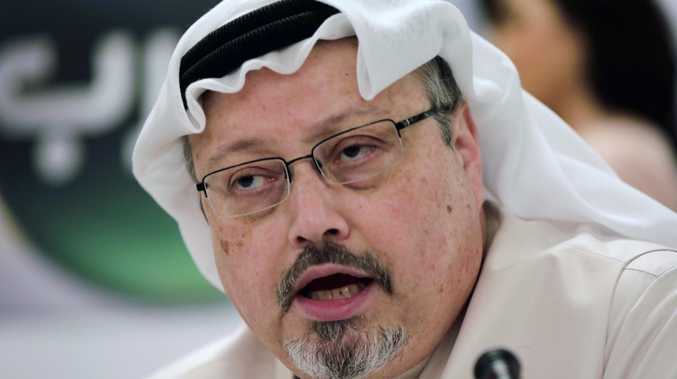 They also assured me that they will conduct a complete, thorough investigation of all of the facts surrounding Mr Khashoggi and that they will do so in a timely fashion," Sec. Pompeo added. Another senior member of Mr Trump's team, Treasury Secretary Steven Mnuchin, said he will not attend an investment conference in Saudi Arabia. Mr Mnuchin said in his tweet, "I will not be participating in the Future Investment Initiative summit in Saudi Arabia." His announcement comes after Sec. Pompeo told reporters at the White House that the administration would await the outcome of investigations by Saudi Arabia and Turkey into the disappearance of Khashoggi before deciding how the US will respond. The Future Investment Initiative conference takes place on October 23-25 in the Saudi capital, Riyadh. It was set up last year as a kind of "Davos in the Desert" for the world's business elite to network. Meanwhile, a former UK student named as part of a hit squad which "tortured and killed" Khashoggi specialised in mobile autopsies allowing him to cut up bodies quickly. It's since been claimed Kashoggi was tortured and dismembered for exactly that time inside the Saudi consulate in Istanbul. 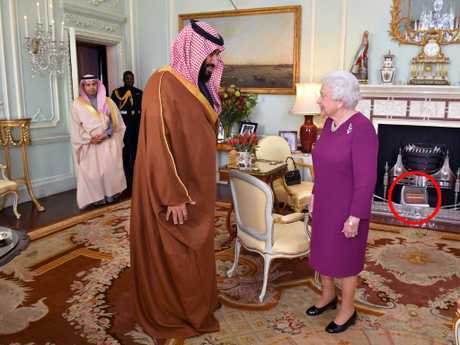 Tubaigy told London-based Asharq al-Awsat it was his idea to design the clinic to allow coroners to perform forensic examinations and dissect bodies at crime scenes. 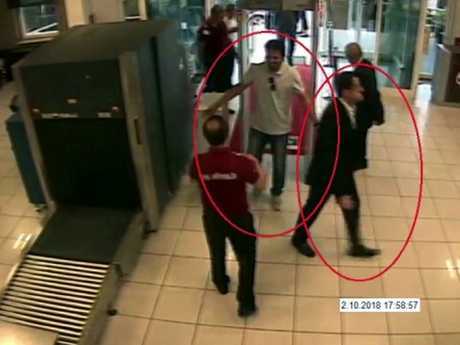 Seven of the 15 men suspected of belonging to the "hit squad" are reportedly part of Crown Prince Mohammed bin Salman's personal security detail. 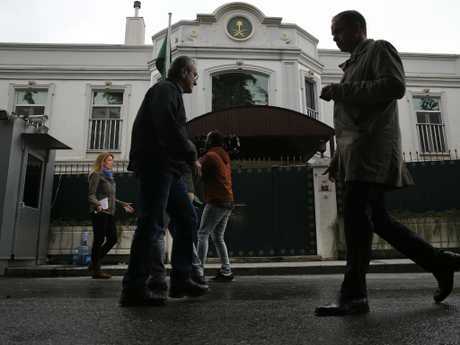 It's now been claimed the murder suspects ate dinner at the Saudi consul-general's residence in Istanbul after murdering and dismembering Khashoggi inside the building, reports Middle East Eye (MME). The anonymous source said Khashoggi - a Saudi journalist based in the US - can be heard screaming as he's dragged from the Consul General's office to a desk in the other room. Earlier, Mr Trump claimed the crown prince "denied all knowledge" of Khashoggi's mysterious disappearance. Mr Trump said the royal told him an investigation was underway and promised he would get answers surrounding the writer's fate. Mr Trump revealed on Wednesday that the US has requested audio and video from Turkey relating to missing journalist adding "if it exists". All are reportedly are members of the crown prince's Special Security Force. 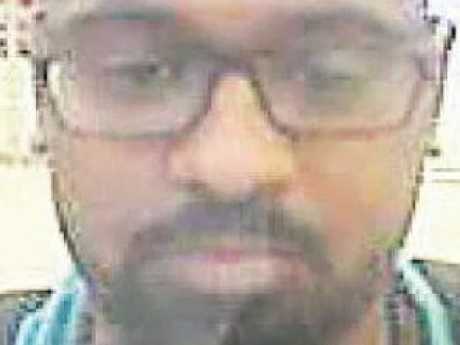 Seven were allegedly high-ranking members of the crown prince's close protection team.